(next entry) Moore Brothers Leverage 5 Axis Machining with VisualCAM for SOLIDWORKS! 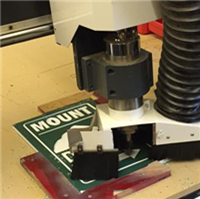 In a recent project, our students designed and manufactured a series of trail signs pointing the directional route along the Mount Dewey hiking trail in Wrangell, Alaska. The 2-dimensional designs were drawn in Rhino 5.0 and machined with RhinoCAM from dual-color plastic stock. It was wonderful this year to be able to switch over to RhinoCAM where changes to the Rhino 3D models are easily updated in the CAM operations! the Mount Dewey hiking trail. 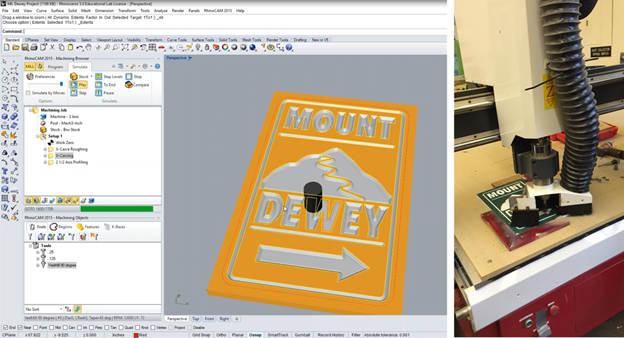 Figure 2: Mount Dewey sign design in RhinoCAM. On the left, the RhinoCAM plugin is shown performing a Cut Material Simulation of a 2½ Axis V-Carve Roughing & Finishing operation. Figure 3: The Cut Material Simulation results are shown after each operation (a) 2½ Axis V-Carve Roughing (b) 2½ Axis V-Carve finishing and (c) 2½ Axis Profiling operations. Note the Bridges & Tabs left during the Profiling operation. 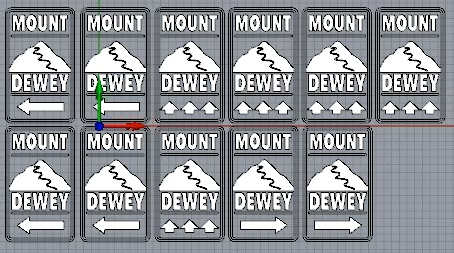 Figure 4: The series of Mount Dewey trail signs laid out in Rhino 5.0. Download a Demo of RhinoCAM today!